So Cape Town is World Design Capital for 2014. It’s the first African city ever to have been awarded this honour, in recognition of the city’s efforts to use design for social, cultural and economic development. Throughout the year there will be more than 450 officially recognised projects going on as well as hundreds of open events. 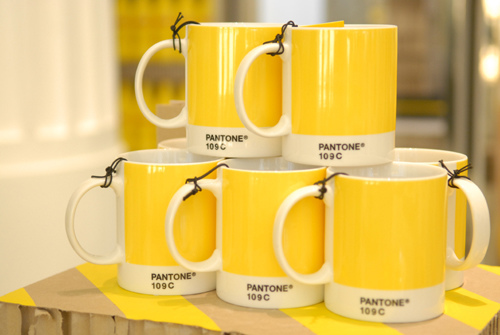 A special colour, Cape Town Yellow, has also been created (Pantone 109C) and it’s being used all over the city. The iconic Clocktower in the Waterfront is now a wonder in yellowness. And what this means to me is I’ve got yet another excuse to get out in this beautiful city and find out exactly what is going on. 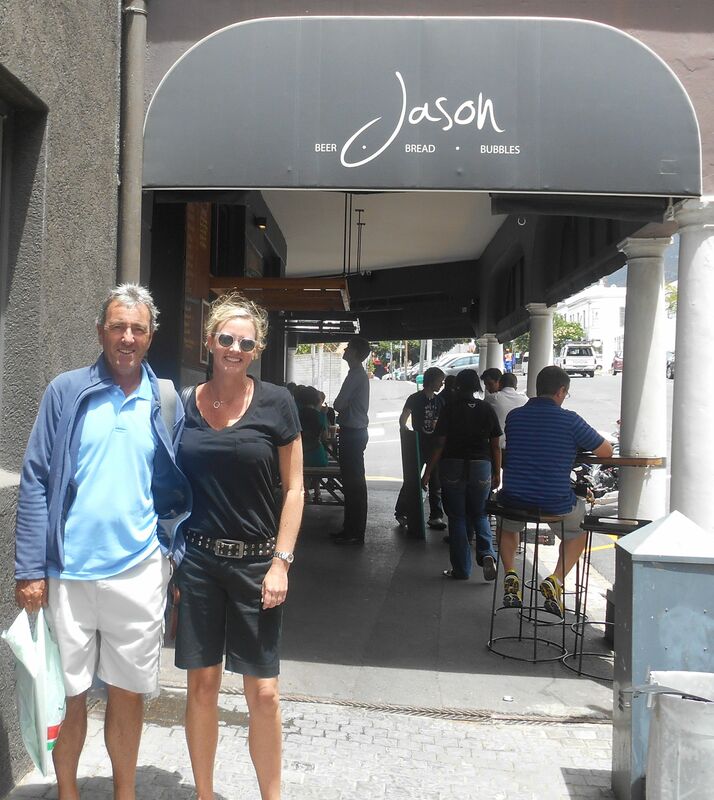 First stop Bree Street on the edge of the City. There are plenty of bars, cafes and restaurants to savour as well as some tempting shopping opportunities. Here’s what we found. 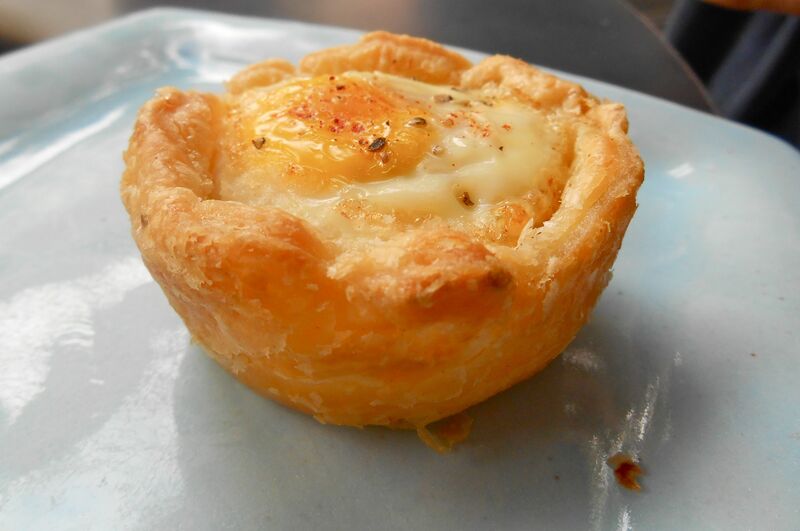 Jason Bakery (No 185) sells all kinds of tempting pastries, sandwiches and the most fabulous coffees. Skinnylaminx (No 201) is the inspiration of self-taught illustrator and designer, Heather Moore. She designs a range of beautiful fabrics that are now sold all over the world. 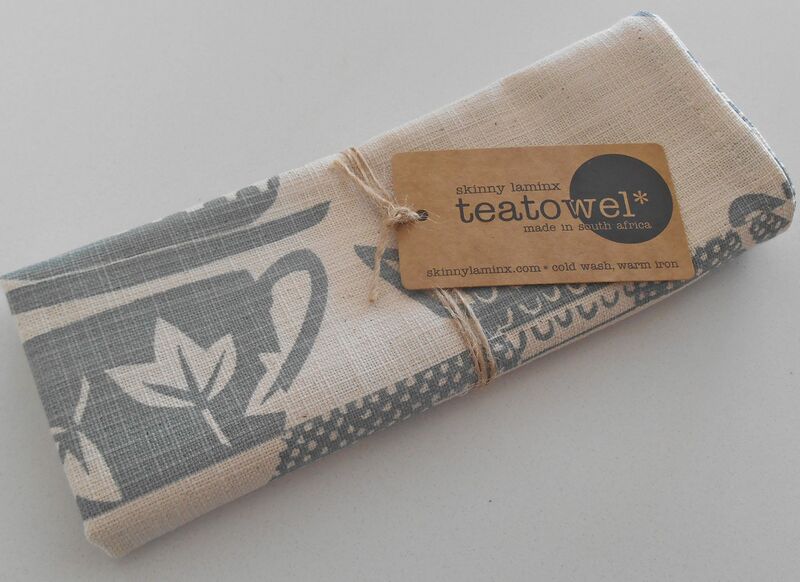 In her lovely shop you will find cushions, aprons, tea towels, table runners, napkins, bags and plenty of other goodies. My friend Candy has bought me several of her designs which you should have seen popping up in some of my blog photography. All of Heather’s products are made in Cape Town. For more local produce, there’s SAM (South African Made) which sits above a great new tapas bar (more of that later). You’ll find original artwork, unique greeting cards, fab notebooks (how I love a notebook), clothes, bags and more. 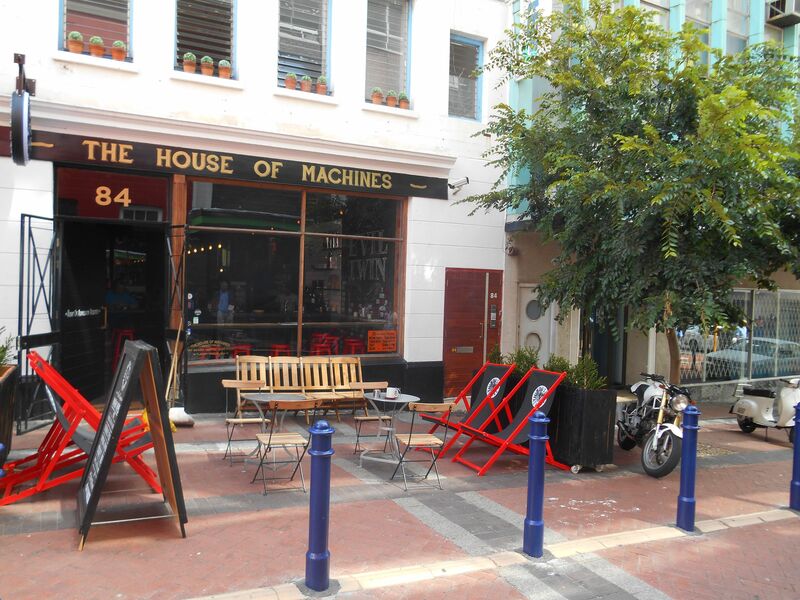 Just off Bree Street (it counts it’s only a minute away) is House of Machines (84 Shortmarket Street). For a minute I thought I’d been transported to Amsterdam as the building it’s housed in wouldn’t look out of place there! It’s home to a US-based custom motorbike shop that “will build everything and anything” (motorbike-wise that is) and a coffee shop. You can also visit the Prohibition Bar which is open on Thursdays and Fridays from 5pm to 10pm. Local wine bar Publik (again just off Bree at 81 Church Street) is a bar that focuses on more unusual and interesting wines. And you can sample a selection of charcuterie, cheeses, olives and nuts, depending on what’s available. It’s only open from 4pm to 10pm Monday to Friday so unfortunately I couldn’t visit it this time. Don’t worry, I’ll be back. There’s also old favourite andunion (No 110), a totally chilled bar that serves craft beer, a range of wines and fabulous sausages and burgers. 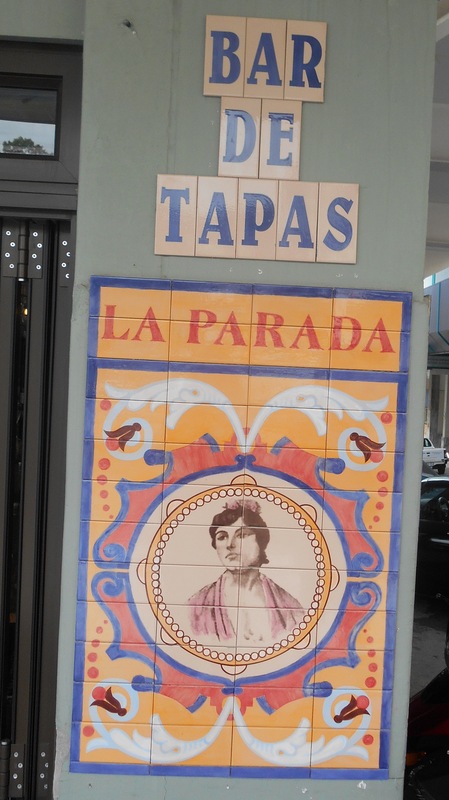 And then there’s newcomer La Parada (No 107). I’ve been commenting on the lack of Spanish restaurants in Cape Town for a while now…and even once entertained the (very brief admittedly) thought of opening one. Well, Spain has arrived in Cape Town at long last. 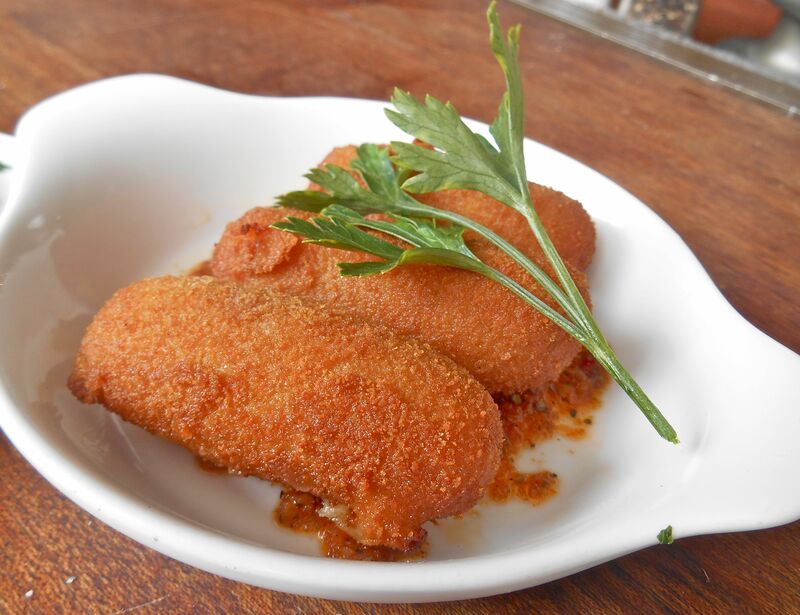 This tapas bar serves wonderfully authentic tapas as well as some larger dishes. You can sit on the pavement facing into the restaurant (so Spanish!) and soak up the atmosphere. 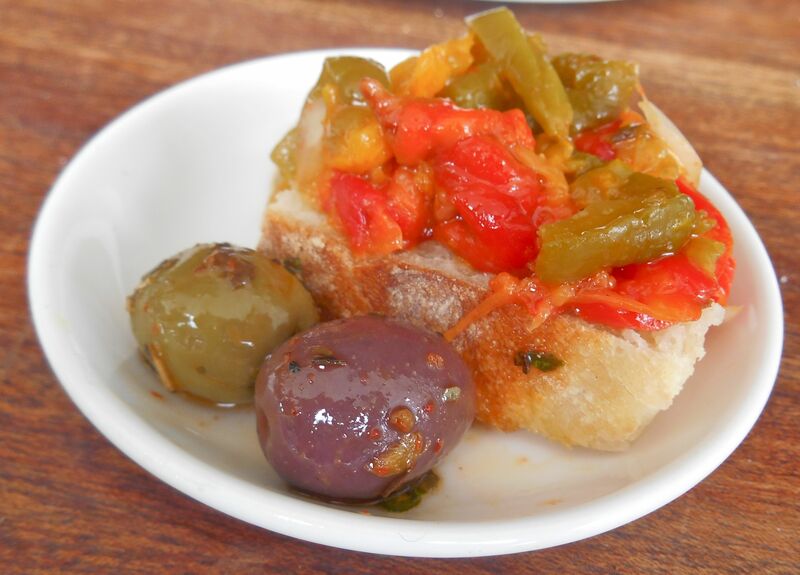 To start off you’re brought a tasty concoction of roasted peppers on bread and marinated olives. 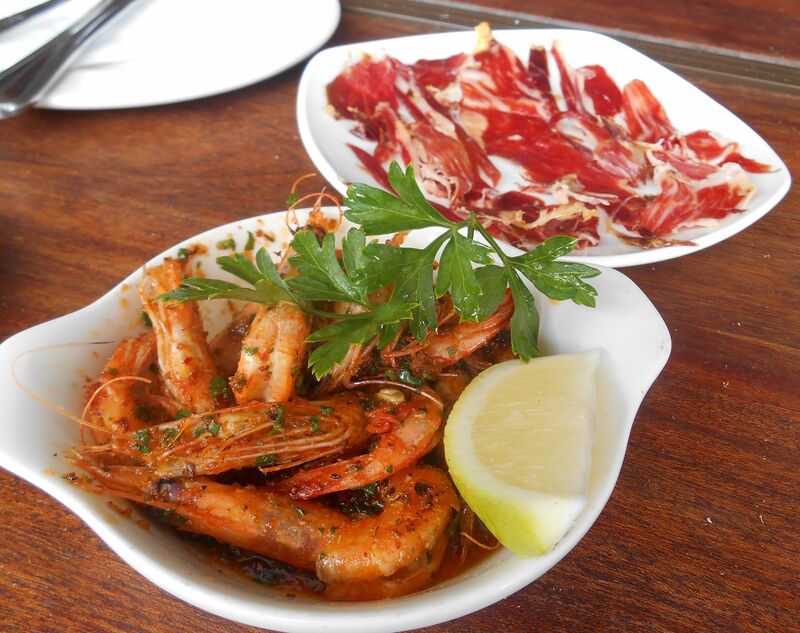 We then tucked into an array of tapas dishes, including tortilla, croquettas, patatas bravas, chilli prawns and pata negra. All delicious and authentic. 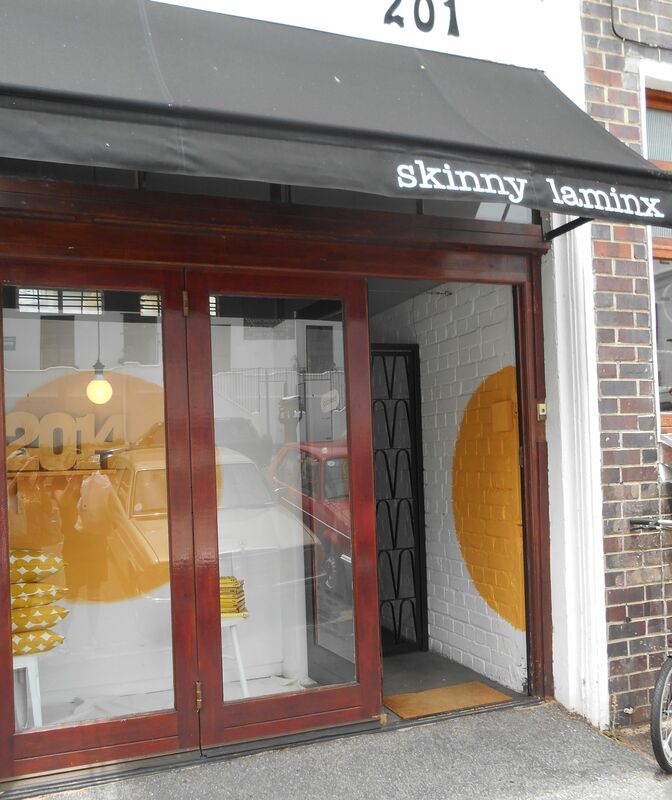 So there’s just a taster of what you will find along Bree Street. Just so you know, it is just a taster as there are plenty of other spots we didn’t get a chance to try. Even I can’t eat enough meals in one day to sample everywhere. Do you have a favourite place in Bree Street? Or do you have a favourite street in Cape Town to tell me about? I’d love to hear from you.